gatherings during CNY – welcome! this is a community message brought to you by your friendly, mind-jogging friend, yours truly, of mental jog blog. announcement of two up and coming gathering! if you are free during the first day of chinese new year (CNY), come for a podcast workshop and a ‘golden pig reunion’ dinner. 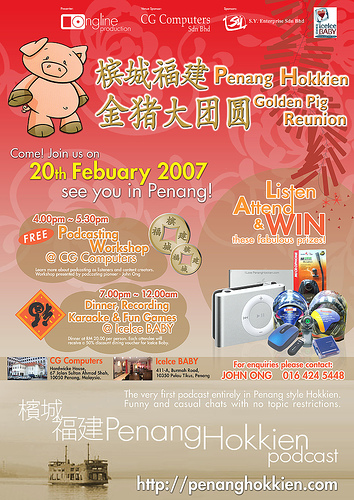 this is organised by john ong of penang hokkien podcast. for details refer to the poster above or go to john’s site. the venue of the dinner is at ice ice baby restaurant, which happened to be the venue of one of our penang bloggers meet in nov. 2005. since i like the food there, i guess i might drop in. i could use the opportunity to ‘pai nee’ (visit on occassion of CNY) my good friend who stays near that area. 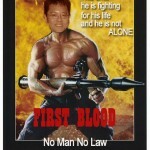 ok, speaking of penang bloggers meet, what do you know, there will be a penang bloggers meet during the CNY period too. refer the poster below or go to the site. 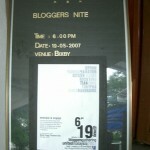 this bloggers meet’s organiser is organised by ji yuan, i think, where i get to know of the meet when he email me. he is a teenager and i notice most of the confirmed attendees i have not heard of, and are teenagers too! wah! they are young enough to be my kids! lol! (really lah. now you know how old i am). well ok for the penang bloggers meet i’m not sure i’ll be going but i think for the golden pig reunion dinner i will go since the attendees will be of mixed ages, several near my age and i notice some of them bringing their mothers and aunties too. 🙂 oh btw, this golden pig reunion is open to all… not necessary to chinese only or chinese speaking hokkien. just come and have fun. penangites, do you have what it takes to be a citizen journalist? 3 Responses to "gatherings during CNY"
lucia: gong xi, gong xi to you too, morpheus. where got always iceice baby? only once the bloggers meet was at iceice baby, and now this pig reunion dinner at iceice baby is not a bloggers meet at all. it was organised by an entirely different group of people for an entirely different purpose. it just happen this reunion organiser knows the boss of the iceice baby i guess, just like one of our bloggers knows the boss. and it is a good appropriate place for such gathering because i heard for this reunion, they managed to get the whole of the first floor for themselves, without any outsiders (like our bloggers meet). happy new year, lucia! looking forward to the podcast. i hope lots of bloggers turn up. lucia: thanks simon, happy new year to you too. That would be so cool. I am really getting interested in podcasting. Oh well the lake is in the way. Again!!! lucia: yes podcasting sound cool but i’m not really interested in it.